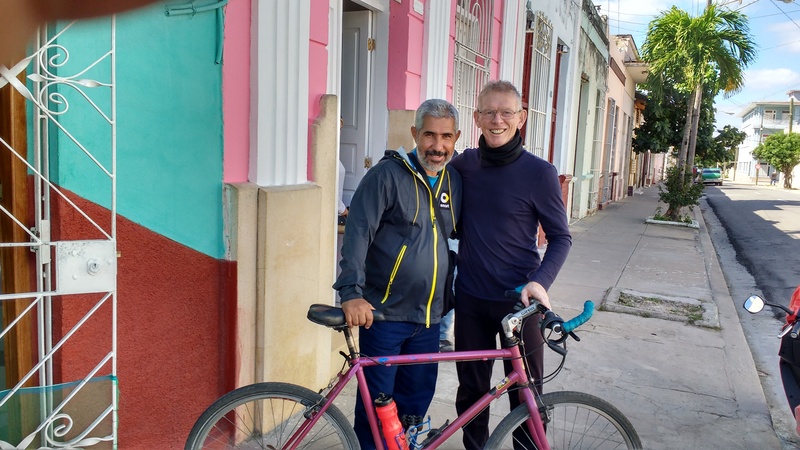 Posted on January 19, 2018, in Cycling Cuba and tagged Cuba, cycling, donation. Bookmark the permalink. 4 Comments. Sounds like you’ve made a good friend , what richness . I hope his bike is safe with him and not the envy of the Cuban bike thieves! What a wonderful way to thin the stable out. Great story Frank. I hear that quite a few people now take bikes to Cuba and leave them behind. They are a much prized asset for most Cubanos.